Hitmanᵀᴹ (which, for the sake of our sanity and yours, we’ll just call Hitman from now on thank you very much) has just wrapped up its first season, and it’s fair to say it’s been a success. Since March this year, IO Interactive has delivered a succession of murderous playgrounds dense with the kind of devious detail that helped forge the studio’s name back with the lauded Blood Money, and to my mind this reboot is at least the equal of that modern day classic. This new Hitman has frequently been outstanding. From the splendour and scope of Sapienza to the bustle of the markets in Marrakesh, IO has delivered the open-ended stealth and skullduggery that fans have been pining for for what seems like an entire generation. 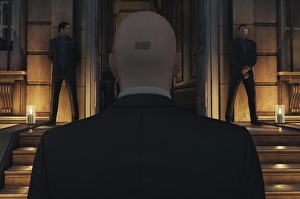 It’s not been without hitches, though, and when the episodic structure was first announced it seemed IO were blundering their way through rather than going for the Silent Assassin approach, with confused messaging not helping win over those disgruntled by the fact the new Hitman would initially be spread out over a series of instalments rather than delivered as a single standalone game. Even IO itself didn’t seem entirely convinced of the approach. “We debated a quite a few things, and we knew that it was going to be controversial,” Hitman’s creative director Christian Elverdam tells us at a recent London event. “And we didn’t make it easy by being back and forth in what we were saying. We knew people would be sceptical. And we had a debate about how much content could launch a season. How much is enough to start? We went back and forth on that. How do you get that critical mass so people start playing and then want to go on and enjoy the game?